fCaldera in Santorini, Greece. 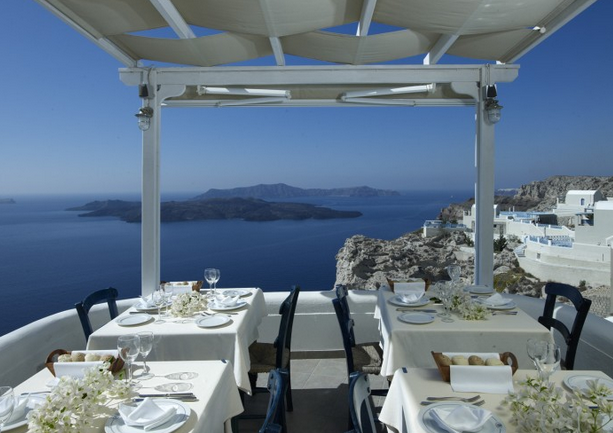 Idyllic panoramic views of Greece with tables situated to actually interact with those around you—the true cultural experience. Ristorante Grotta Palazzese in Puglia, Italy. This looks like something out of a movie. Imagine the raw sensory overload here–from the crashing of the sea to the jagged ominous looking cliffs. It seems like sea birds would be an issue here. The constant clash of the engines continues annually in a battle to see which hypercar is faster. While the Bugatti Veyron Super Sport has managed to hang on to the title of ‘World’s Fastest Production Car’ for a few years, that does not guarantee that it will have it next year. There are many companies vying for that coveted title, but for the time being, these are the fastest supercars on earth! The following Miami luxury hotels offer three distinctive experiences: Classic opulence, Zen elegance and modern boutique. Book a stay out of curiosity, return out of pure adoration! Choose your first hotel, then contact Imagine Lifestyles Luxury Rentals and mention this article for a $200 discount* on an exotic rental car in Miami to compliment your stay! Luxury Hotel in Waikiki Offers Complimentary Exotic Car with Stay! Heading to Hawaii for vacation? Take this luxury travel tip from your friends at Imagine Lifestyles! Halekulani luxury hotel is offering an exotic automobile amenity program that puts guests behind the wheel of a luxury car during their stay. What is sweeter? If you stay in one of 3 of the hotel’s premier suites, usage of the car is free! Unbelievable. I would stay here even without the complimentary luxury rental car perk! Outstanding view! Here are 5 great ways to make the great escape famously…luxury travel tips fit for your inner celebrity! Hamster Hotel in Mexico? Mas Cerveza, Por Favor! Trips to Mexico often begin with good intentions: Sun, sea and cerveza. After a few-too-many Mexican beers, however, you could find yourself in a concrete drainage pipe for the night. No, it isn’t the end result of a mugging and a blackout…its just the Tubohotel! The Marlin Hotel in South Beach will have the talents of chef John DeLucie on-hand to tempt the taste buds of patrons following an extensive renovation. Best known for his New York City eatery, The Lion, DeLucie’s offerings are celebrity magnets, which will certainly pair well with a South Beach locale! Spilled: Top 10 Extreme Concierge Requests in Miami! Luxury travel entails far more than simply the right exotic rental car in Miami…and no request is too extreme in South Florida! Take, for example, the following unusual requests leaked from top South Florida hotel concierge types!